Unfortunately I wasn't able to make it to my LGS to test it at the monthly pauper event. My initially conclusions from a handful of matches online is that the deck is pretty slow and was missing a later game threat. That's why I brought in Horror of the Broken Lands for Grisly Survivor . Maybe I should think about simplifying the mana base. All the tap lands limit the usefulness of the permission package in the deck in the early going. Also, it's a lot of clicking and so you'd better be really comfortable with the interface or you're going to burn your clock really quickly. I'm just new to mtgo and so it's a bit tough for me so far. I'm hoping to do more play testing on both in the next month and should have more useful feedback on performance in specific matchups in the meta and evaluation of specific cards. You could play some of the cycle lands (Barren Moor, Tranquil Thicket, Lonely Sandbar) for some "free" cycle cards. Also, I think you should go up on the Cunning Survivor/Grisly Survivors so you have the max number of payoffs. Oona's Grace is the slowest and costliest card you're playing, plus it's not very good in multiples, so I'd cut a couple of that. I would definitely recommend picking up 4 copies of your important cards. These would be Vile Manifestation, Horror of the Broken Lands, Grisly Survivor. You should also pick up some copies of Archfiend of Ifnir and Cast Out, maybe a few Forsake the Worldly or Faith of the Devoted For more consistency I would definitely recommend playing all the copies you're allowed to of the important cards. For what to cut, just get rid of the 1-of or 2-of cards that don't work well with the strategy. 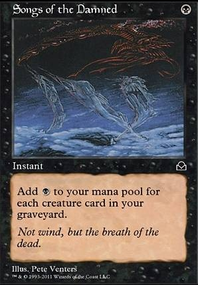 I disagree with the above comment that you "need" a playset of Fatal Push. Sure it's a strong card with the correct build but it is absolutely not worth it for you to jam in $30+ worth of Pushes just because they're a solid card. 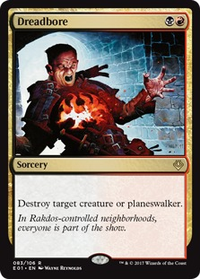 With your only way to trigger revolt being a singleton Fling the power of Fatal Push drops off hard. Unlicensed Disintegration is an excellent removal spell and the only thing I'd replace it for is the Walk the Planks that you have in the maybeboard already. I do agree with the dropping of Magma Spray, you really need the ability to hit face whenever you can so going up on Shock and some other creatures seems better (keep somes sprays in the sideboard if you play against graveyard decks). Last thing about the removal, I definitely wouldn't mainboard Hour of Devastation, Sweltering Suns, or Lost Legacy. Hour and Suns are the kind of card you never want your opponent to cast on you so why cast it on yourself for them? I would sideboard all 3 of those cards to bring in against decks that you absolutely need a boardwipe against like zombies. For the creatures, as stated previously there are a lot stronger minotaurs in the Theros block so making the jump to modern could make the deck a lot stronger. 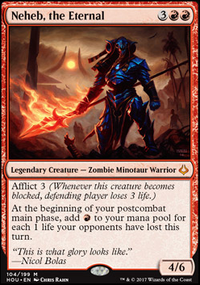 But for Standard I think your best thing to add in is more of each Neheb (maybe a 3-2 split of Worthy-Eternal), another Bloodrage Brawler, and Grisly Survivor. 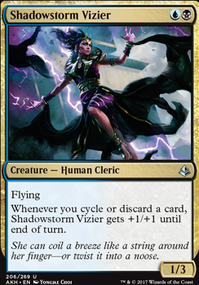 I suggest dropping Pitiless Vizier, Tilonalli's Skinshifter and Wildfire Eternal completely. 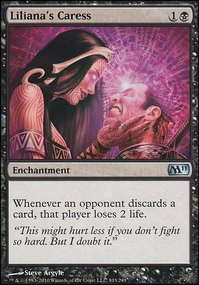 Adding in a couple copies of Tormenting Voice can help you hit the discard triggers you need and also dig through your deck.